Think Low-Bid Delivers the Lowest Cost? Think Again. Think Low Bids Deliver the Lowest Cost? You’d be Wrong. It never ceases to surprise me when a procurement executive insists on selecting professional engineers or contractors exclusively on the lowest bid. This often repeated process never saves money in the long run. In fact, it’s only correlated with a higher risk of defects, delays and overall total costs. Based on case studies and my years of experience on literally hundreds of projects all over the U.S., there is no direct causal relationship between low cost and high performance. Let’s look at it more closely. First, let me define what I mean by the low bid only procurement process. For purposes of this article I’m talking about the purchase of services involved in the real estate improvement supply chain—that means architects, engineers, general contractor or specialty subcontractors—regardless of the industry. 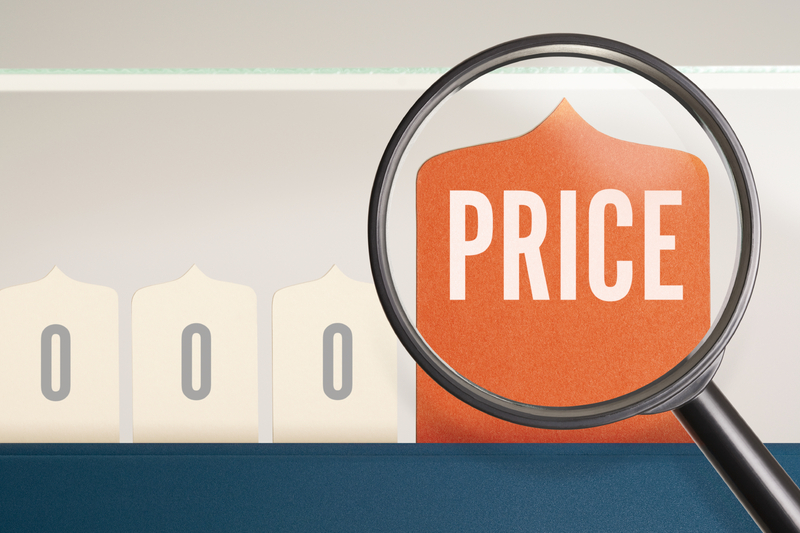 A low-bid-only procurement process is one in which the sole controlling determinant of which vendor is awarded the work is the one with the lowest price. Sometimes this is also called lowest responsible bid. The net of it is, if price is the sole reason for the selection, it doesn’t matter what you call it. Low Profit Margins. If profits aren’t high enough, contractors, subcontractors and designers risk going out of business. As a result, they don’t assign their principals, vice presidents or other senior level team members to your project. Those personnel are just too expensive. Margins in the construction and architectural industries/professions are normally under 2%. Slice those margins even further, and you get junior personnel assigned to your team. That means low-bid, low profit vendors are a serious risk. Smaller Margins for Error. Every project has errors in it. You can plan meticulously, but inevitably a problem will crop up. The issue is how does one ensure that the errors are minimized or transferred? If there’s little profit for the vendors hired for the project, there’s less elbow room for fixes—and guess who those costs then come back to? That’s right, they come to you. Unless you hit the expert-professional-lottery and get an exceptionally competent, experienced pro who just also happens to provide the lowest bid, then you’re setting your project up (and yourself) for more change orders. Additionally, motivation to perform will be low and/or (in extreme cases) your vendor may just make a business decision that continuing with the project is more costly than abandoning it. Or worse. Consider just the problems connected to bankruptcy from this excerpt from Greg Daily and Amelia Valz, of XL Group, as reported in Engineering New-Record, February 2014. “What can happen when contractors’ subs file for bankruptcy? For one, contractors can be left in a holding pattern as various bankruptcy rules may govern how a contractor can terminate and replace a subcontractor. There are also risks of additional project liens by previously paid second-tier suppliers and subcontractors. Lower Performance Results. The statistics speak for themselves. One recent industry study looked at the impact of low bids upon outcomes and found that only 56% of projects awarded on a low bid basis were completed on time. Only 41% were on budget, and there were claims and/or litigation on 13% of the projects. I would love to ask those execs who made the decision to go with low bid if they thought it was worth the delays, expense and headaches. When you remove the reasonable expectation of a fair profit from a project, you also remove the incentive to do a better or even outstanding job. Contractors are having a hard time finding high level staff to keep pace with the increasing work volume. As a result, especially in low bid projects, less experienced staff are replacing the higher priced experts. A 2005 study showed that three out of four contractors are experiencing a labor shortage, and that on many crews, apprentices make up the majority of the team. And that’s just part of the story. Check out our other post for even more details. Then consider whether going with the lowest bidder will save you…or hurt you. Northern Arizona University, Flagstaff, AZ: 2007. CD 6:10. Kashiwagi D, Kashawagi J, Savicky J. Industry Structure: Misunderstood by Industry and Researchers. NED University Journal of Research, Vol. VI No. 2 2009.